Most celebrity endorsements don't work because modern celebrities generally have no admirable qualities — boorish, entitled, 'look at me' miscreants with wandering hands the lot of 'em. Who wants to be associated with that 'orrible lot? Particularly at Christmas. 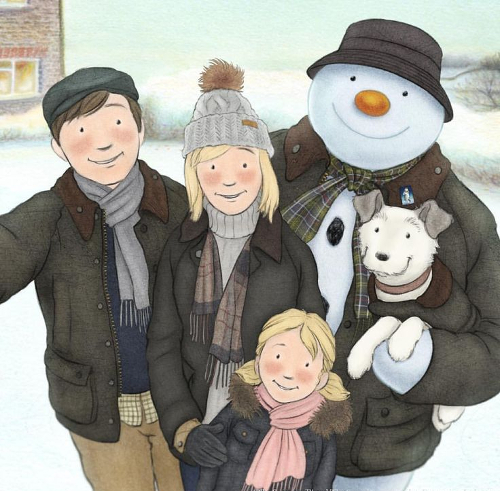 Barbour, on the other hand, has been very clever by working with a great seasonal friend of The Tweed Pig who has impeccable qualities — the Snowman. He's quite literally as pure as the driven snow. For Barbour's Christmas campaigns, we get to see that our Snowman is partial to wearing Barbour. Specifically, he's a Bedale wax jacket man. He has good taste. I don't know how many times I've said this, but it's an absolutely mandatory item for the classic wardrobe. 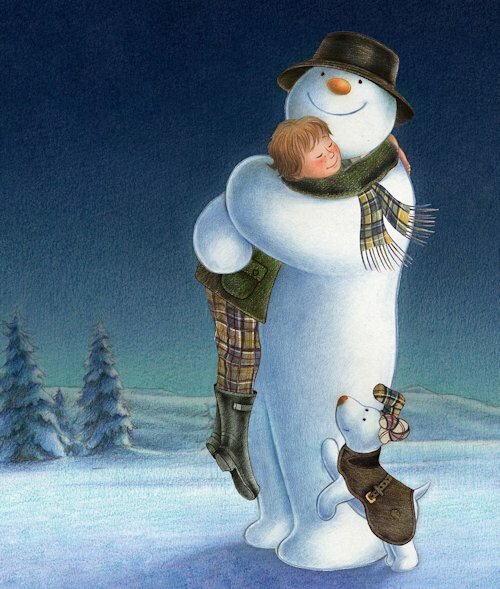 Barbour's series of Christmas animations (below) feature The Snowman in the charming style of the original animation, echoing its ambience, delightful string orchestration and sentiment. In episode one, a decent, Barbour-clad young man looks back on a magical Christmas night from his boyhood. If I have a slight niggle, it's that the boy isn't wearing traditional pyjamas and a house coat at the start. Other than that, fantastic. In episode two (below), the man is now happily married and with a daughter. The Snowman comes around to the man's house to join them for Christmas. They seem like a nice, quiet and contented family who keep themselves to themselves. You know, the type you don't see on TV. They endear themselves to us. We hope they have more children who can wear more Barbour jackets. The Snowman is bidden in and made welcome. Our man hasn't forgotten his icy friend — loyalty and kinship, more fine qualities — who has a present waiting for him under the Christmas tree and a place at the table no doubt. What do snowmen like to eat? Icebergers? 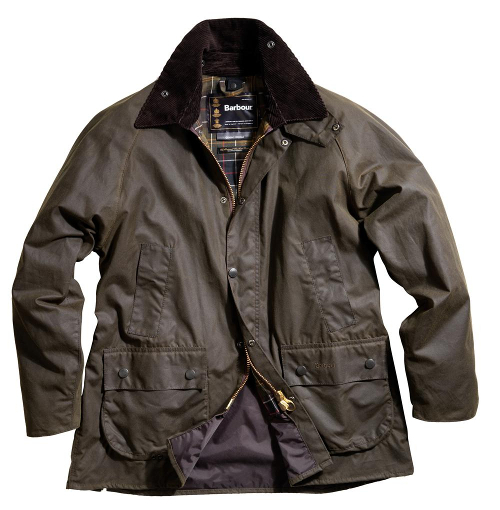 I must recommend the biggest Barbour shop in Britain at Blackbrook in rural Staffordshire. I make a regular visit at Christmastime. I also make time to enjoy a festive ale at The White Lion (1614) in nearby Barthomley. Part of the Outdoor and Country group, the Blackbrook Barbour shop is festooned with Snowman regalia at this time of year to get you in the mood for buying Barbour clothes and enjoying the Christmas period wearing them. Well, it certainly has that effect on me.